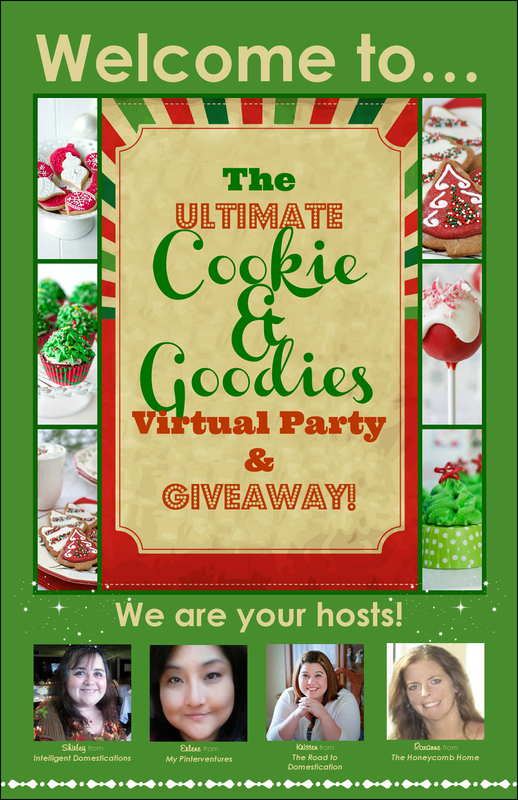 Ultimate Virtual Cookie & Goodies Party – $350 Holiday Giveaway! Share you original posts for any winter holiday, especially Thanksgiving and Christmas. We want you to share your Free Printable Holiday invitations, party décor and anything; Thanksgiving and Christmas themed which you have Free Printables for! No Round Ups or crafts. 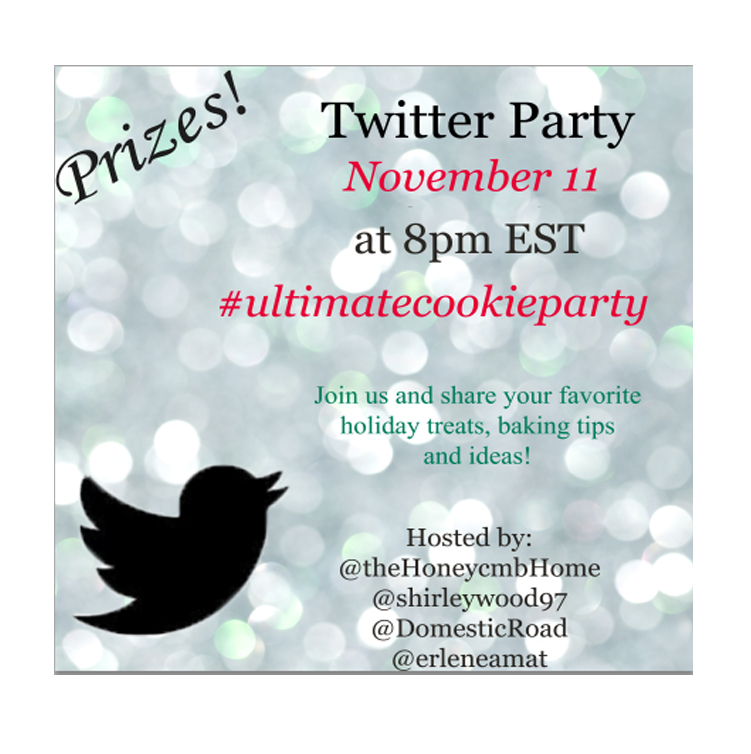 It’s all about the Cookies, Goodies, Holiday party decor/invitations, and Thanksgiving/Christmas printables! Looks like a missed the giveaway, but thanks for sharing such festive recipes for the holidays! Sounds like you had a great time! Thanks for linking up to the Bloggers Brags Pinterest Party! I’ve pinned your post to the Bloggers Brags Pinterest Board. 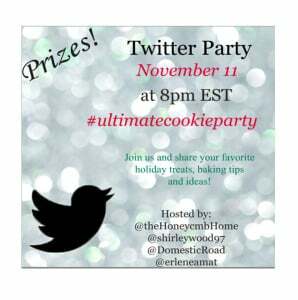 A virtual cookie party!!!!?!! What an amazing idea! What an awesome idea for a giveaway! Do I need to participate in the link-up to enter? Darn, looks like I missed a great party! I’m happy to see the giveaway is still going on! The party is still open and runs until the 22nd. Hope you can join. I see some really good cookies in there that I would love to try. Thanks for the link up. Great party and awesome giveaway, thank you all! Hopefully, I can join in for the Twitter party, too. Awesome. What a great giveaway and party! Thank you! I knew it would be dangerous to stop by! 😀 These cookies nom, nom, nom! I don’t know which sweet I want the most! Oh, wow! What a giveaway! Thanks for the chance to win. Wow, what an awesome list and giveaway! What a great giveaway and so many cookies. Wow! 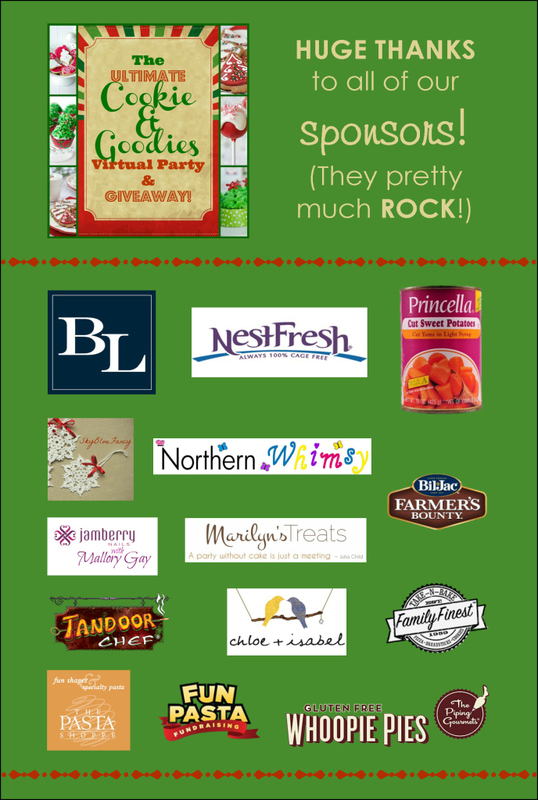 This is a yummylicious giveaway! Love it! 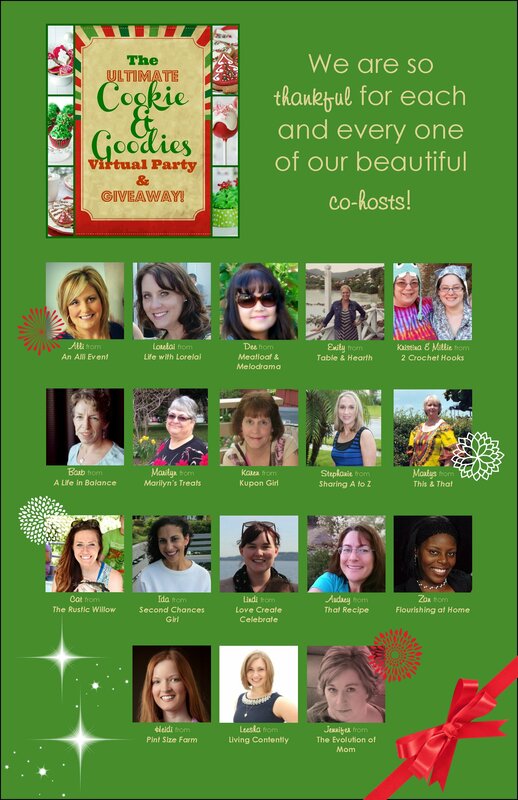 So cool – what a great giveaway! Sounds like a fun Twitter chat – will try to make it! Wow! What a giveaway! There is a TON of stuff here – prizes, linkys, cookies…who can resist!? What a great post with lots of amazing things to win! I feel like I`m behind. I haven`t gotten any Christmas post prepared yet. Time to get to work!